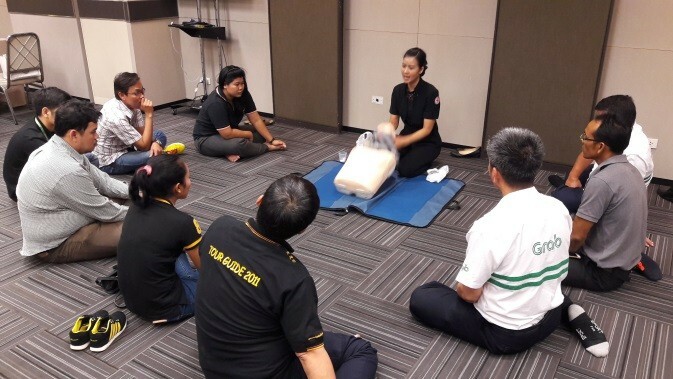 Twenty three GRAB taxi, GRAB cars and GRAB bikes drivers actively participated in first aid training which included basic first aid theory and practical sessions provided by the Thai Red Cross Training Center for First Aid and Health Care. 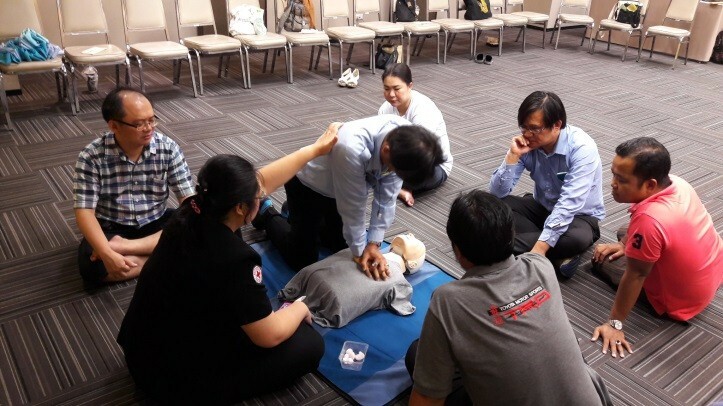 This second training included first aid, CPR – cardiopulmonary resuscitation, choking, fractures and dislocations, legs injuries, preparing and referring to hospitals. 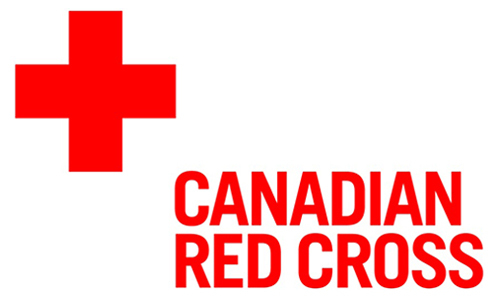 Three senior first aid instructors were facilitating according to the standard first aid training course of IFRC. 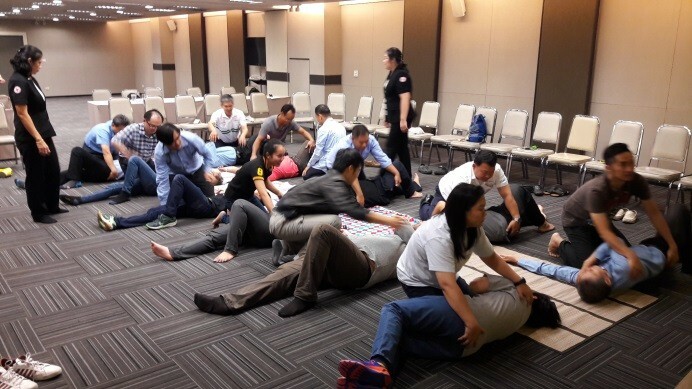 Based on the results of this training, all of the participants mentioned that the levels of confidence to use and practise CPR and chocking in the real situation significantly increased to 75-80 percent. All participants appreciated the training methods, facilitations and six practical sessions which will be useful to help other people and their families. They mentioned the training reached to more than their expectation. The post-test evaluation was applied for all the trainees before distributing the certificates. 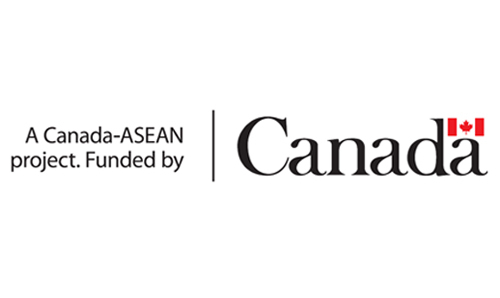 Additionally, GRAB Thailand is planning to conduct nine training sessions for Grab taxi drivers in Bangkok, Chiang Mai, Phuket and Khon Kaen provinces in 2017. 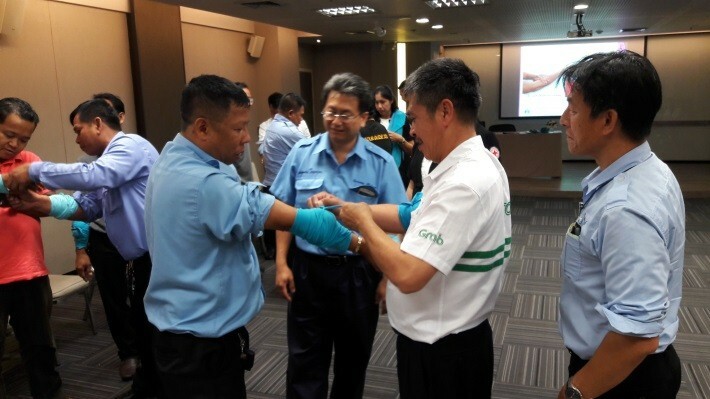 It is expected that there will be more than 300 Grab taxi drivers receiving knowledge and skills about basic first aid to improve road safety and save lives while working and driving on the streets in this year.